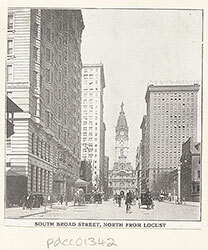 Broad Street, north from City Hall. 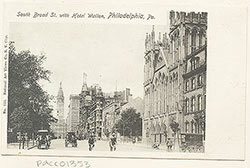 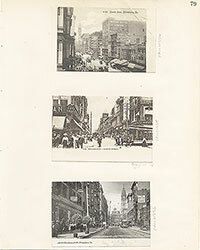 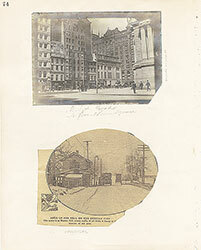 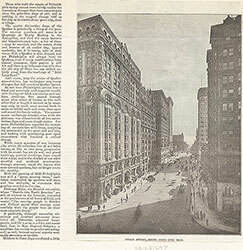 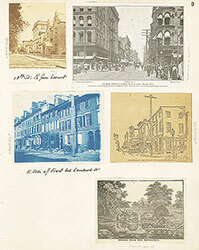 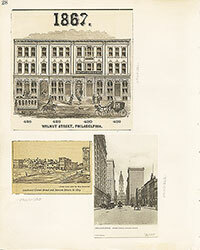 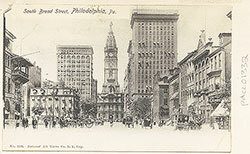 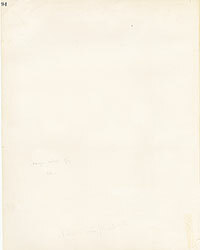 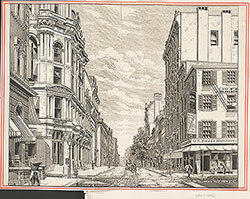 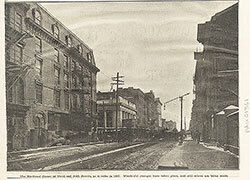 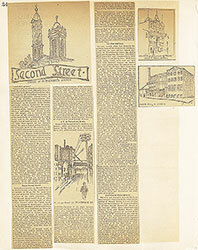 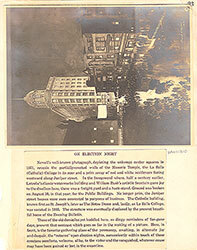 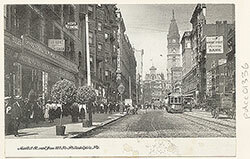 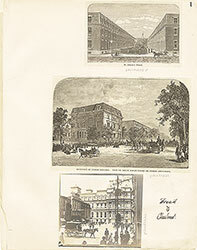 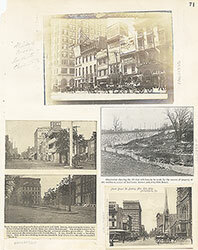 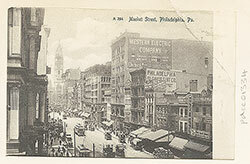 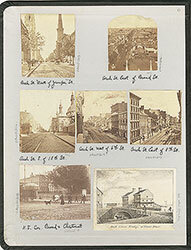 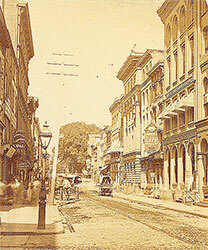 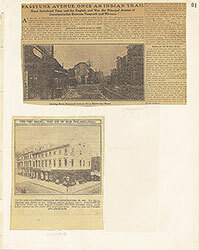 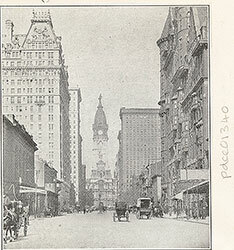 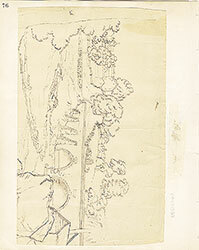 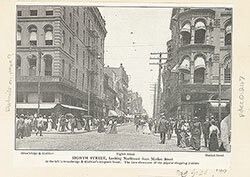 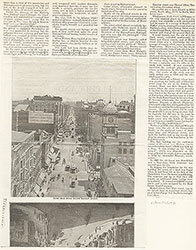 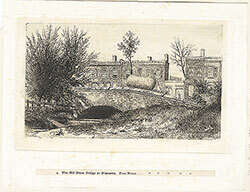 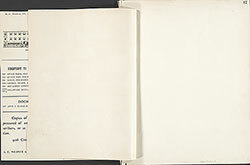 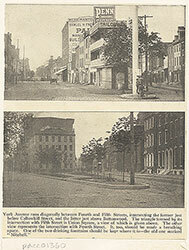 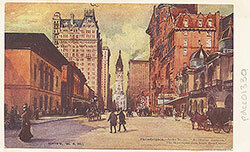 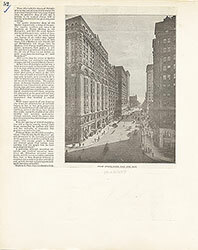 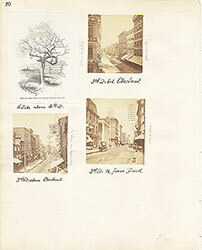 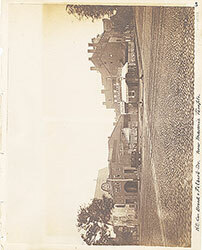 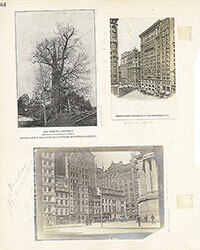 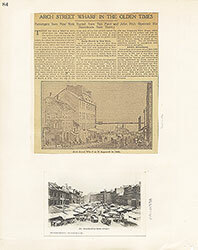 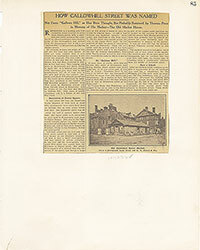 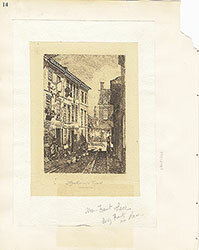 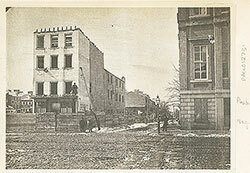 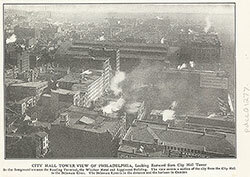 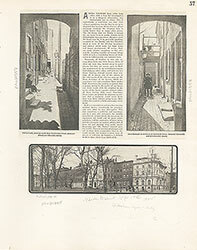 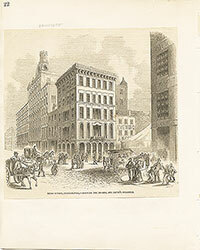 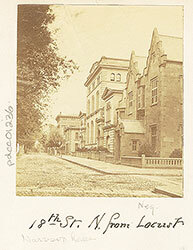 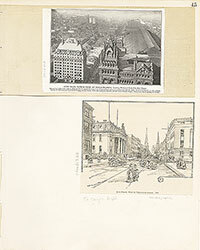 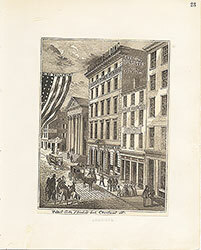 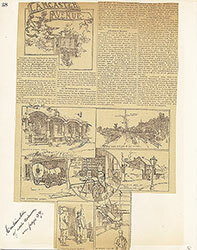 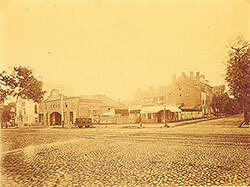 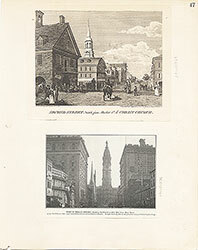 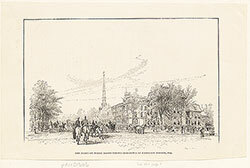 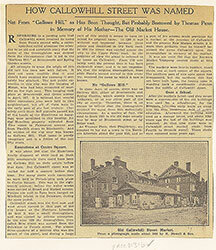 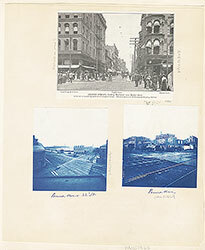 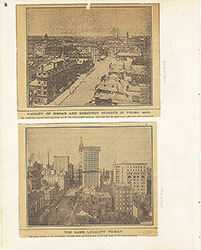 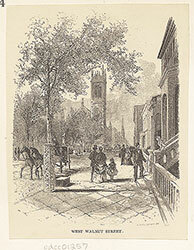 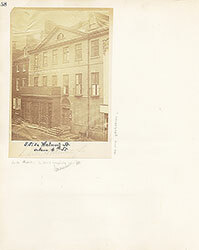 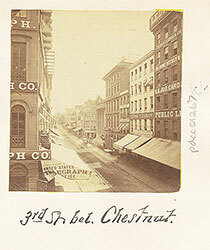 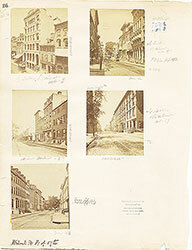 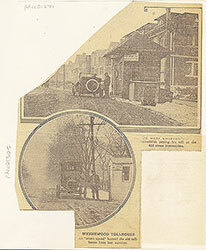 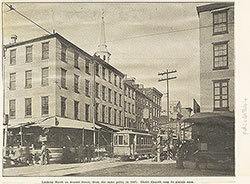 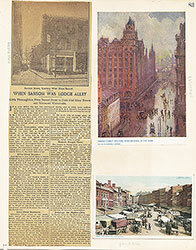 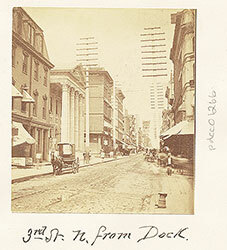 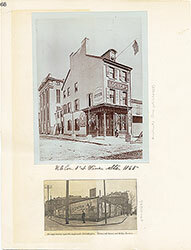 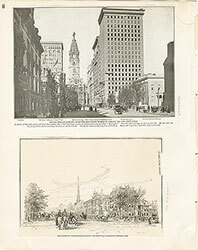 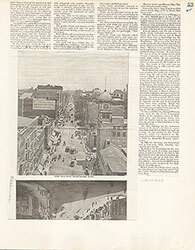 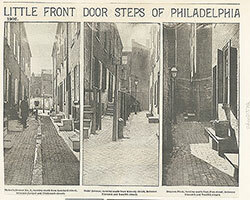 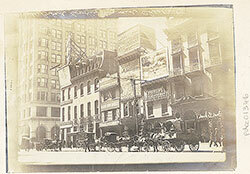 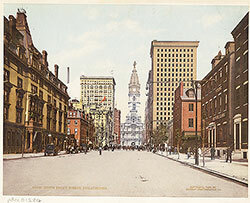 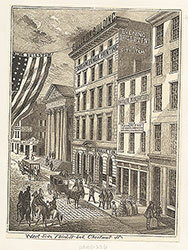 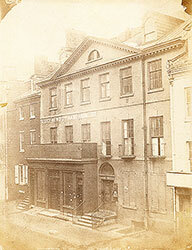 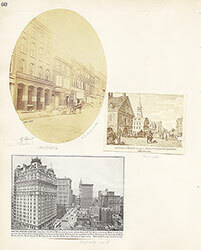 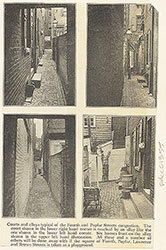 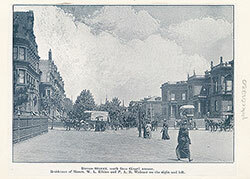 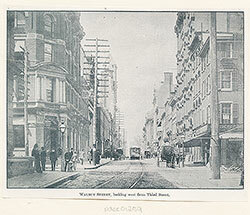 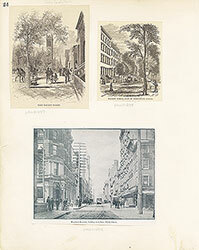 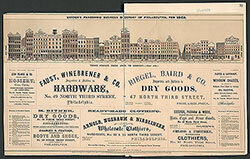 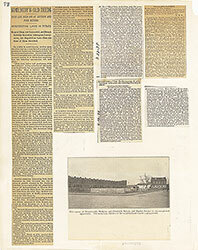 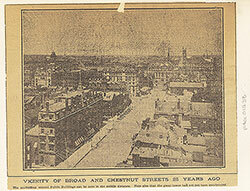 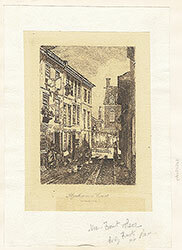 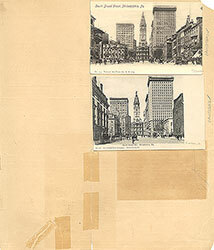 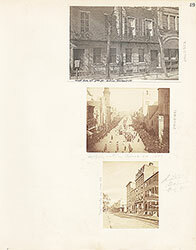 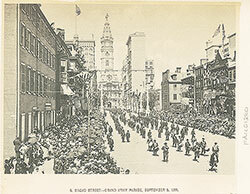 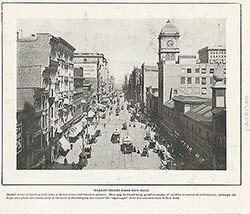 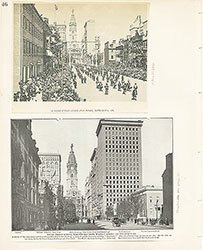 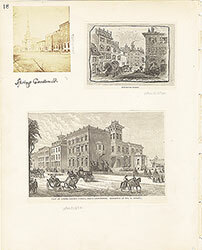 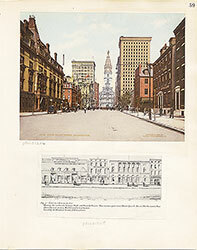 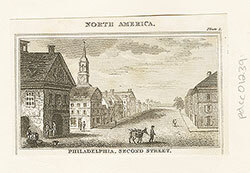 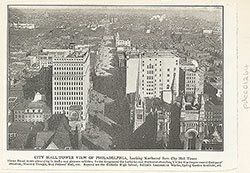 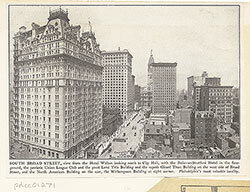 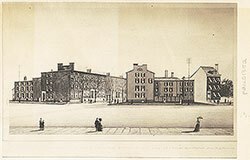 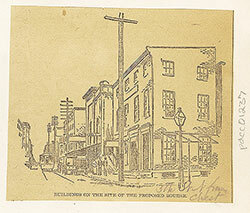 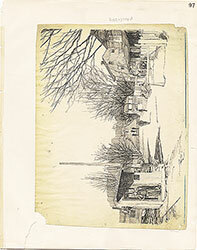 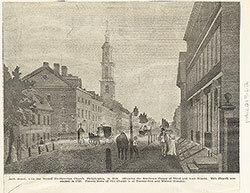 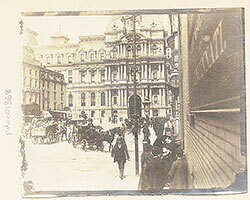 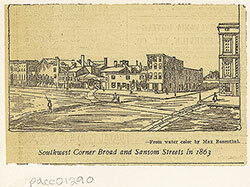 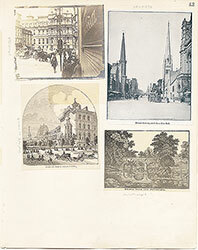 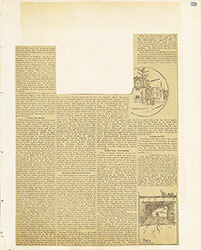 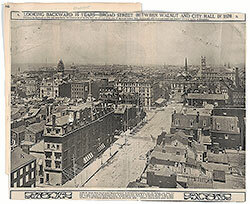 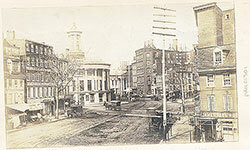 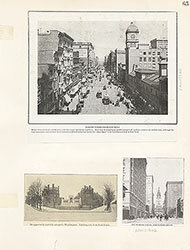 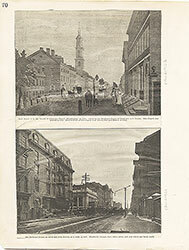 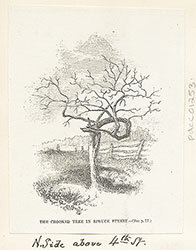 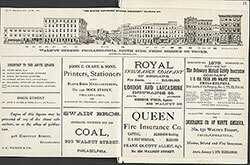 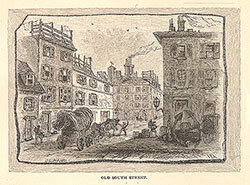 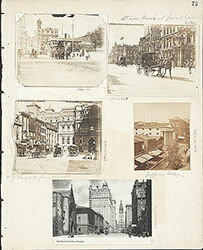 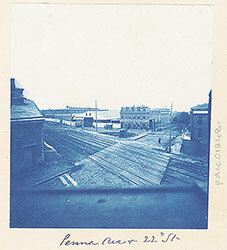 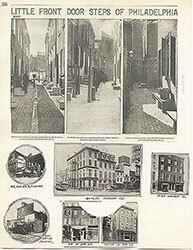 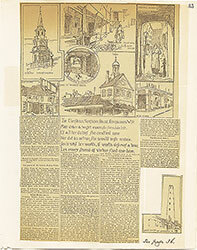 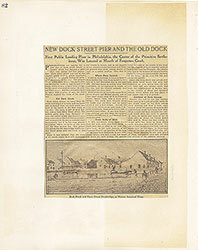 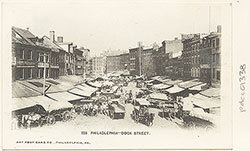 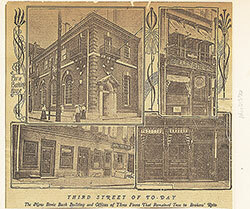 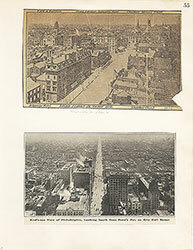 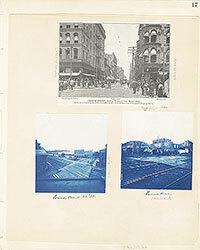 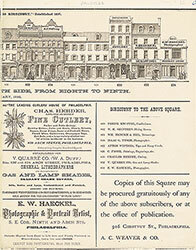 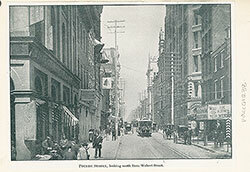 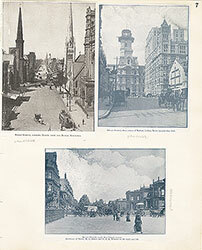 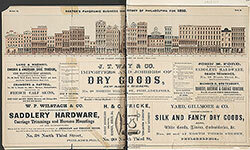 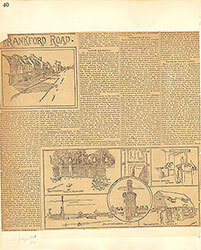 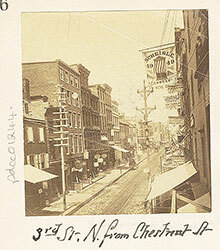 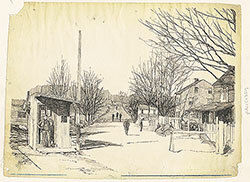 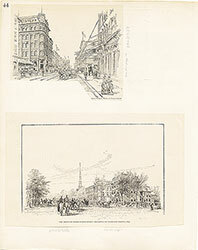 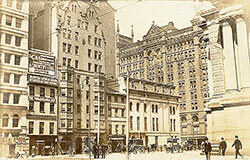 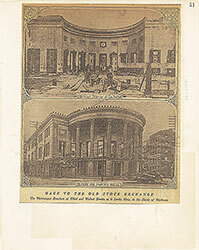 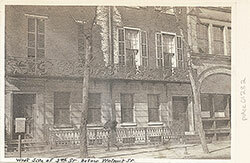 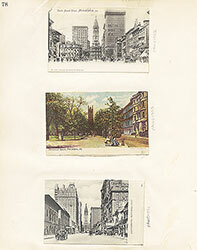 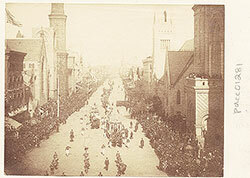 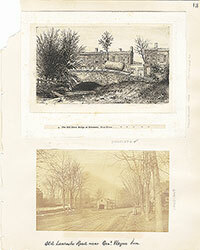 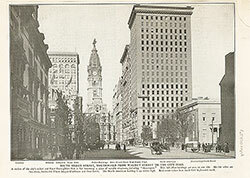 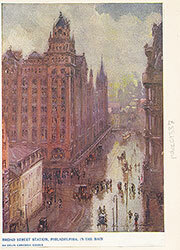 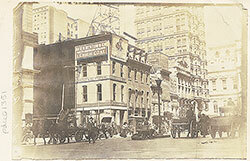 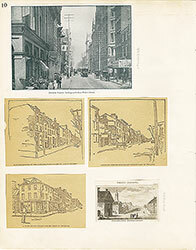 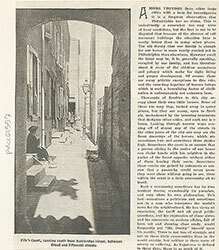 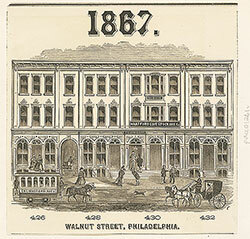 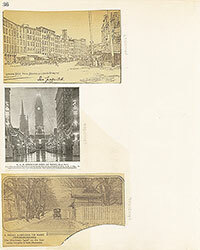 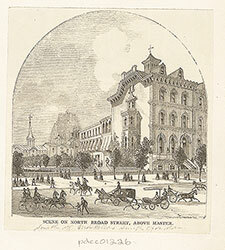 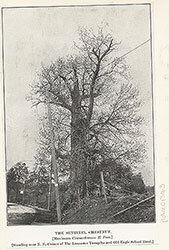 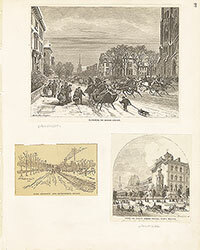 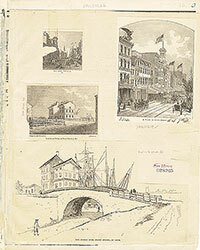 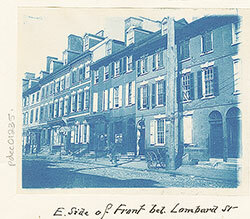 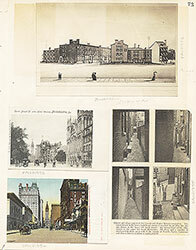 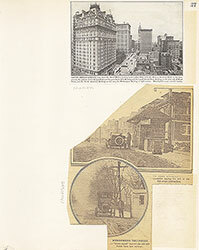 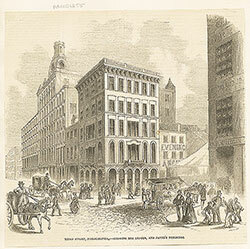 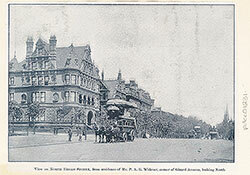 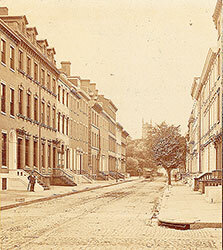 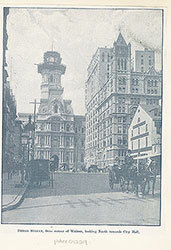 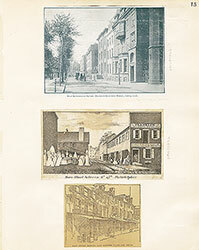 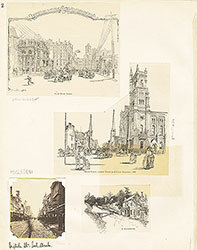 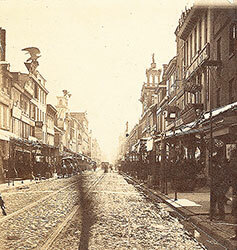 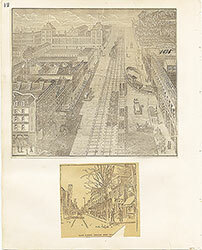 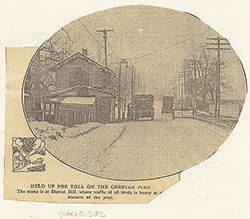 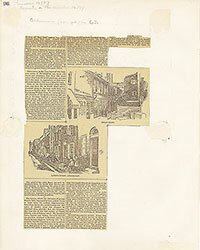 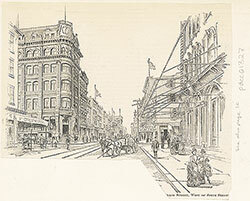 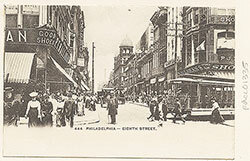 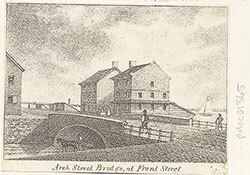 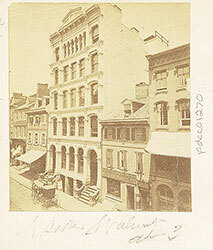 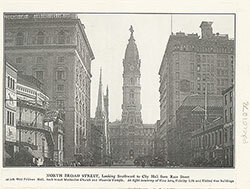 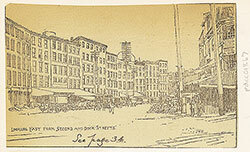 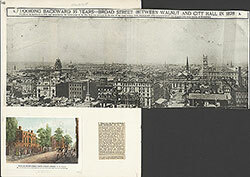 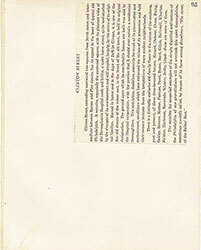 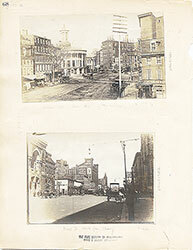 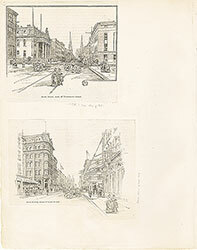 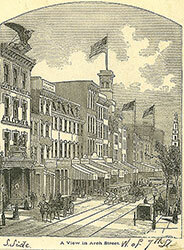 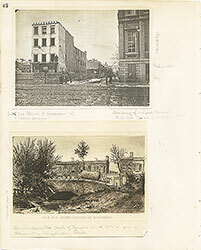 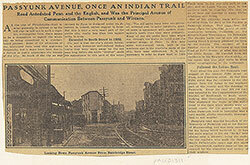 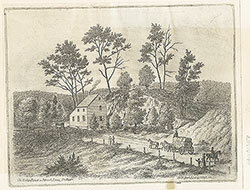 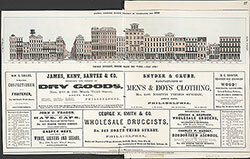 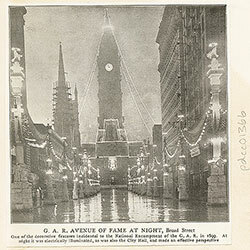 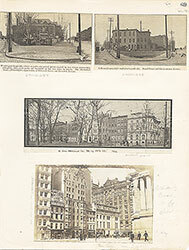 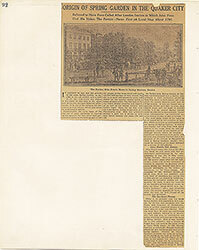 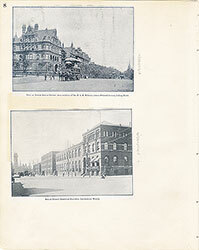 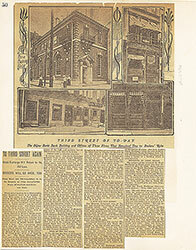 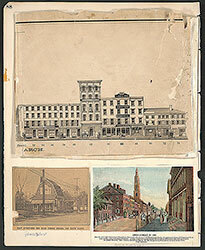 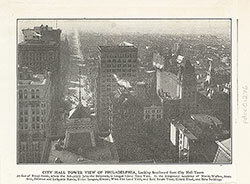 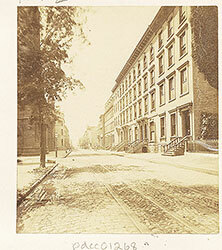 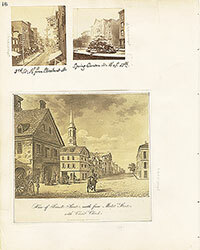 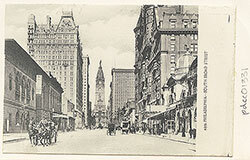 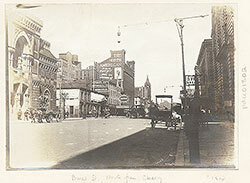 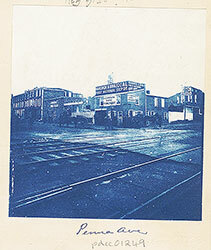 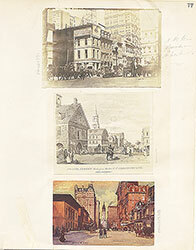 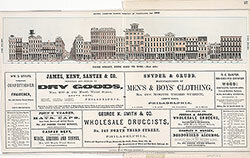 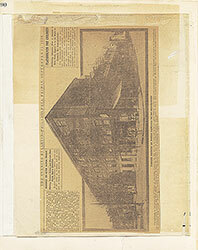 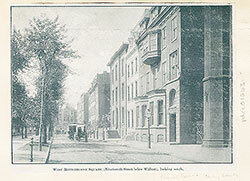 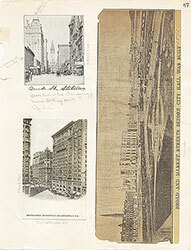 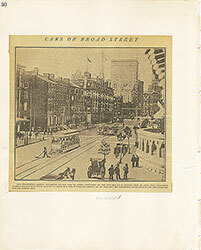 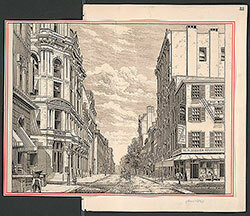 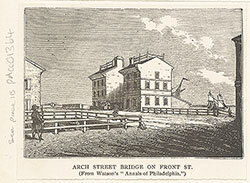 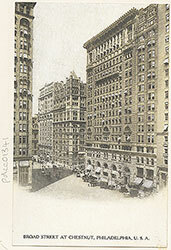 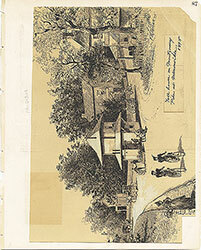 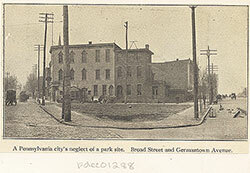 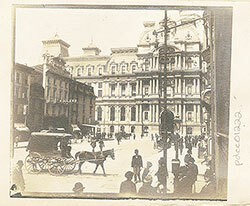 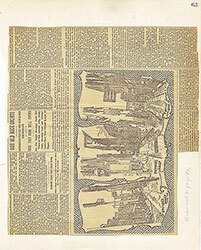 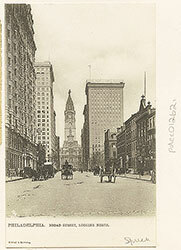 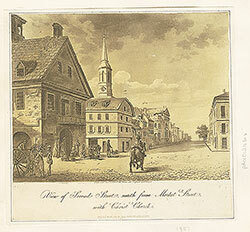 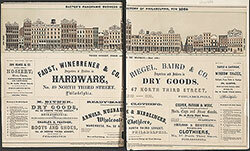 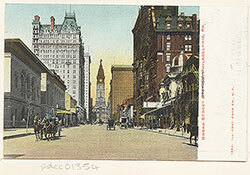 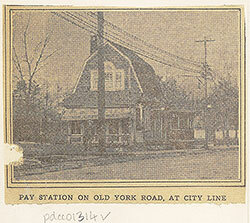 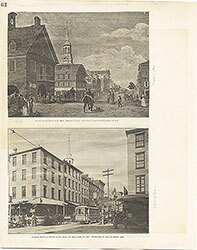 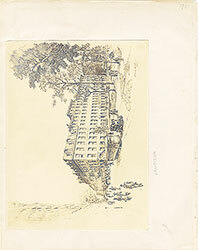 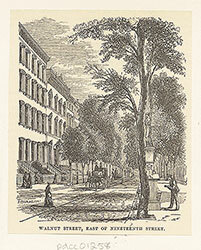 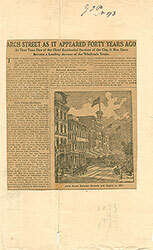 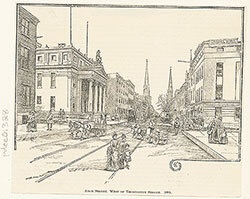 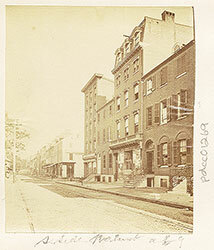 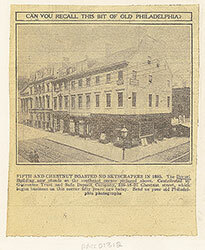 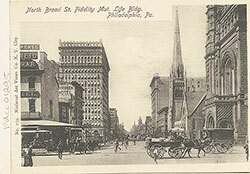 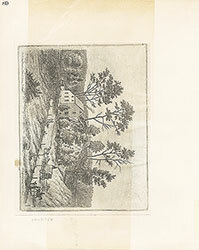 Title: Broad Street, north from City Hall. 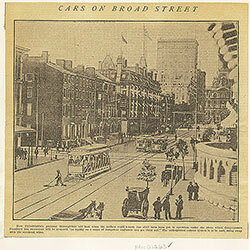 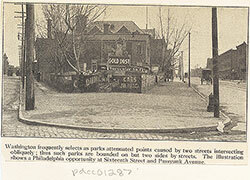 Halftone reproduction of a photograph looking north on Broad Street from City Hall. 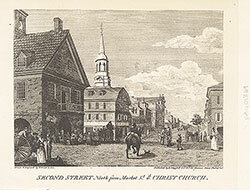 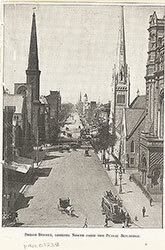 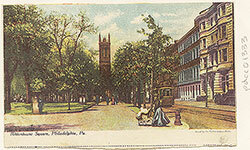 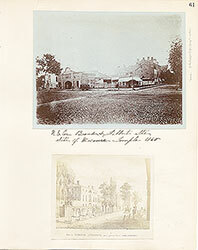 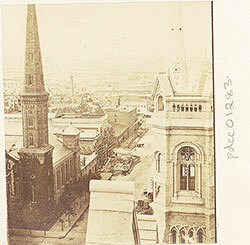 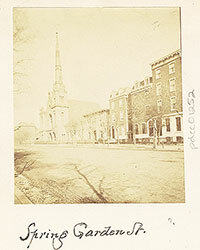 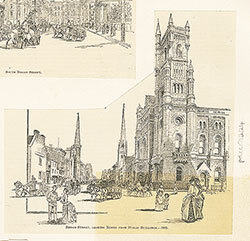 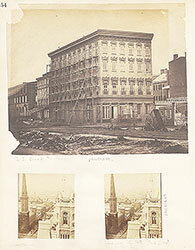 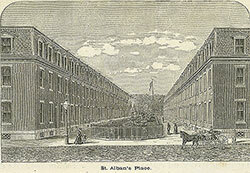 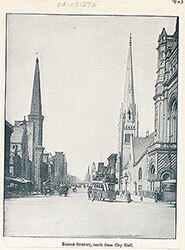 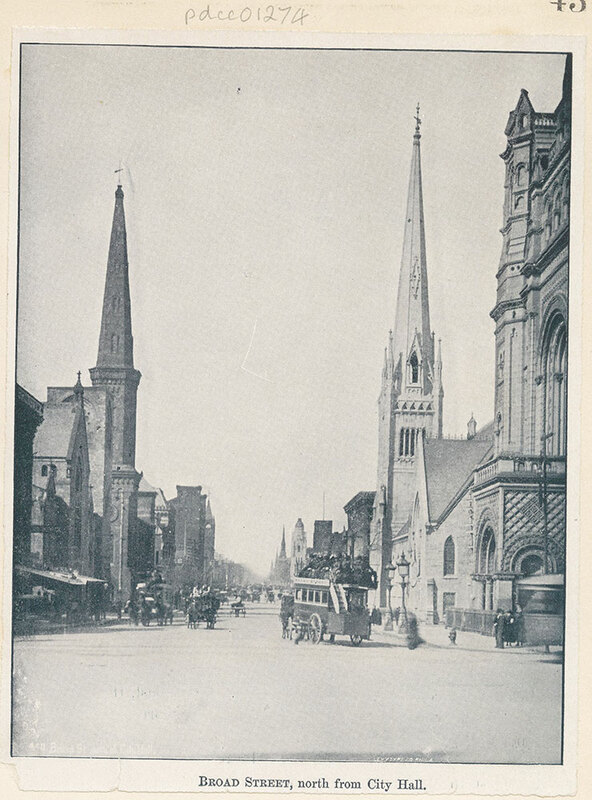 Shows the spires of the First Baptist Church (left) and the Arch Street Methodist Church. 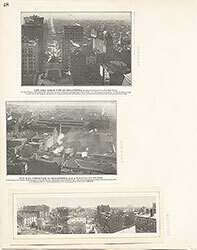 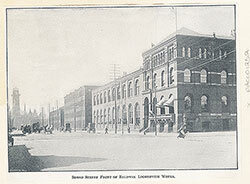 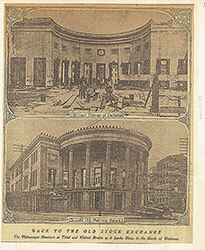 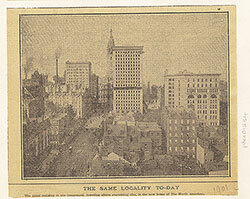 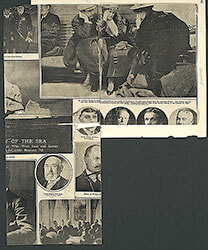 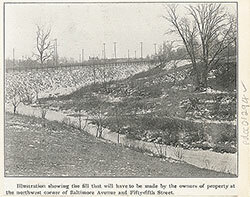 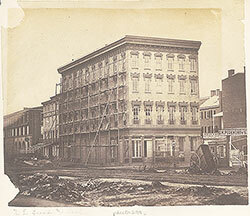 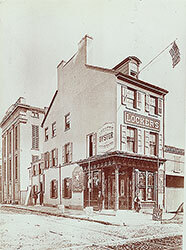 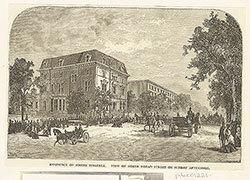 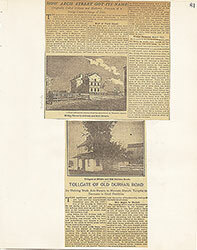 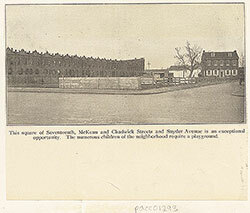 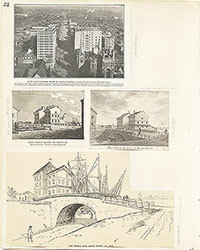 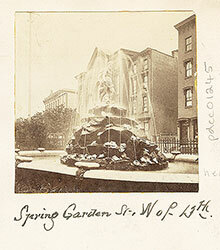 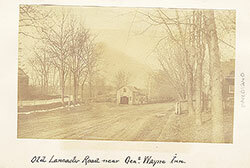 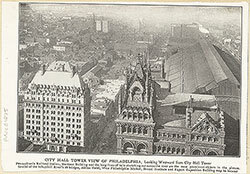 Also shows a partial view of the Masonic Temple on the extreme right. 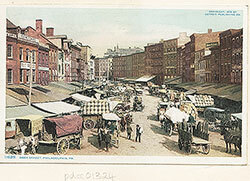 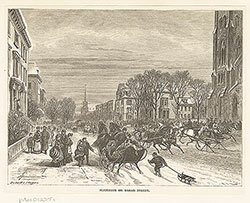 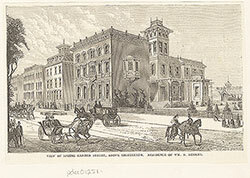 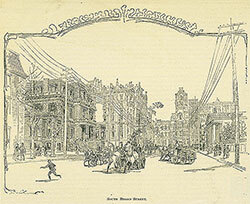 In the foreground a horse-drawn omnibus loaded with passengers makes the turn northwards from City Hall Plaza.